Nice to get such a large gift, which is decorated by deed of gift, usually it is real estate or an expensive thing. But, since the price of the gift is large, it certainly increases the income of recipients, which should be reflected in the Declaration on the income, annually submit to the tax inspection at the place of residence. However, this rule concerns not all. According to the Tax code of the Russian Federation, any citizen received income subject to tax at the rate established for physical persons at the rate of 13%. The payer of the tax to incomes of physical persons under this code of laws, are all those who live on the territory of the Russian Federation not less than 183 days in a year. 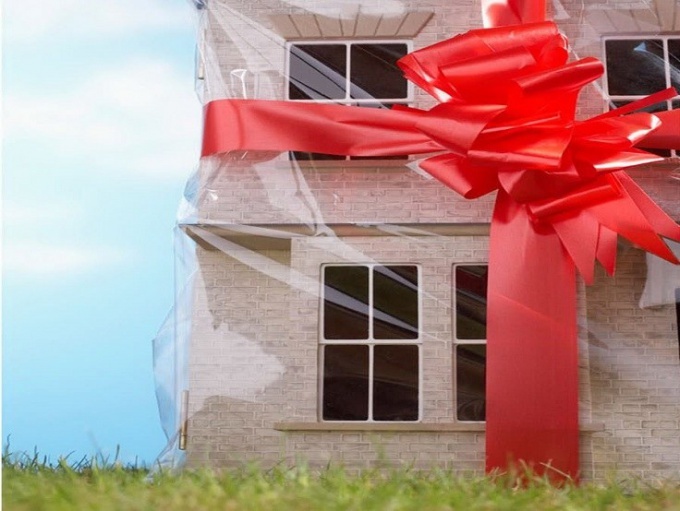 Property received as a gift, recognized as income, and pay tax on it in the budget required all: able-bodied citizens, pensioners, disabled people and even minors, regardless of whether funds for the payment of this tax in their parents. Such property shall be the property; cars, airplanes and boats; securities: shares, units or shares in the Charter capital. With the exception, under paragraph 18.1 articles 217 of the tax code, are granted the income in cash and kind, but they, as a rule, a contract of donation and will not be issued. But, in accordance with clause 18.2 of article 217 of the tax code, there are cases when the citizen is exempt from paying tax on the income of individuals and, consequently, from the obligation to submit a Declaration about these income, even if it is a contract of donation became the owner of the estate or an expensive vehicle. It does not need to do when the donor and the donee are close relatives or members of the same family. Ie, take into account and consanguinity, and family, when a couple, for example, are stepfather and stepson are living together. Close relatives of the Family code of the Russian Federation considers husband and wife, parents and children, grandparents and grandchildren, brothers and sisters. For RF IC, there is no difference between native and adopted children, as well as full and half brothers and sisters. Since the donation contract shall enter into force only after it will be registered in the territorial bodies of Rosreestr, these bodies in the order of interdepartmental interaction data on transactions of this kind passed to the tax office. Therefore, the tax authorities have information both on the income and on the degree of kinship of the donor and the donee. In the case where the information in the tax office for some reason is missing, you need to provide her tax independently. Documents confirming the degree of relationship include birth certificate, passport, certificate of marriage, certificate of name change, etc. in Order to verify belonging to the same family, you will need to present a certificate of family composition, the act of cohabitation, etc.